The Adolescent Literacy Project (ALP) provides high caliber, intensive literacy professional development for middle and high school educators and administrators in any content area. ALP is a yearlong course led by university faculty from Kentucky’s state universities designed to improve teachers’ literacy instruction on behalf of improved student outcomes. ALP offers professional books, resources, stipends/graduate credit, and secondary literacy education improvement plan guidance to schools. ALP costs nothing for schools to participate. The site-specific cohorts allow each university to address the specific needs of its service region with the resources and expertise it has available to advance the Kentucky Academic Standards (KAS) on behalf of College and Career Readiness. ALP begins with a summer institute where literacy strategies applicable for all content areas are modeled and practiced. Each participating educator begins the development of a literacy action plan during the summer institute. ALP is sustained throughout the year by collaboration with the university facilitator as teachers implement their literacy action plan. This can include coaching visits, co-teaching with faculty, or follow-up professional development days. 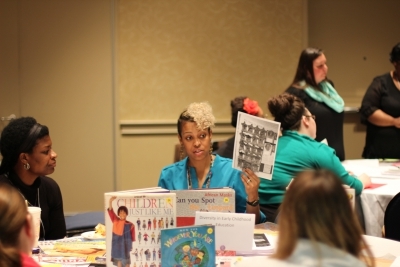 Teacher participants end with a professional presentation at a statewide Share Fair. 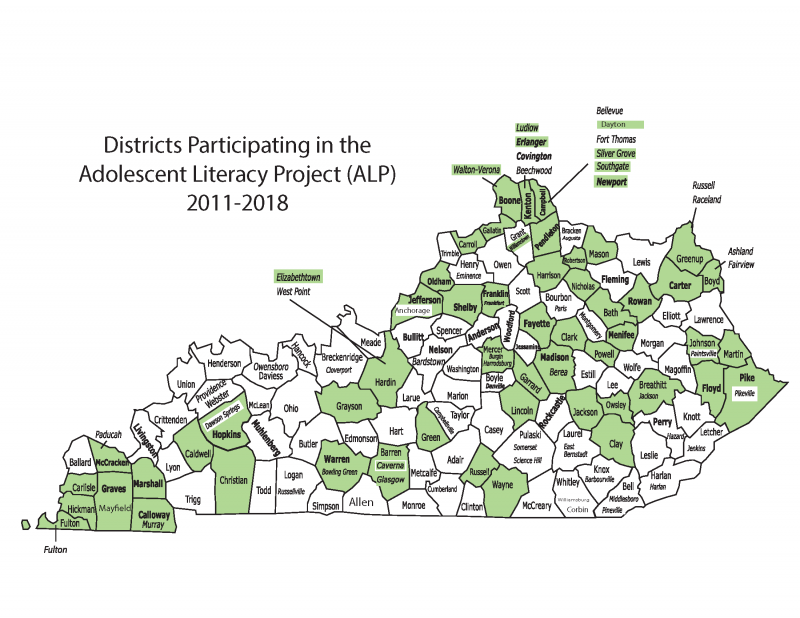 Since its inception, ALP has had over 550 participants from over 157 schools from 66 districts across the state of Kentucky. 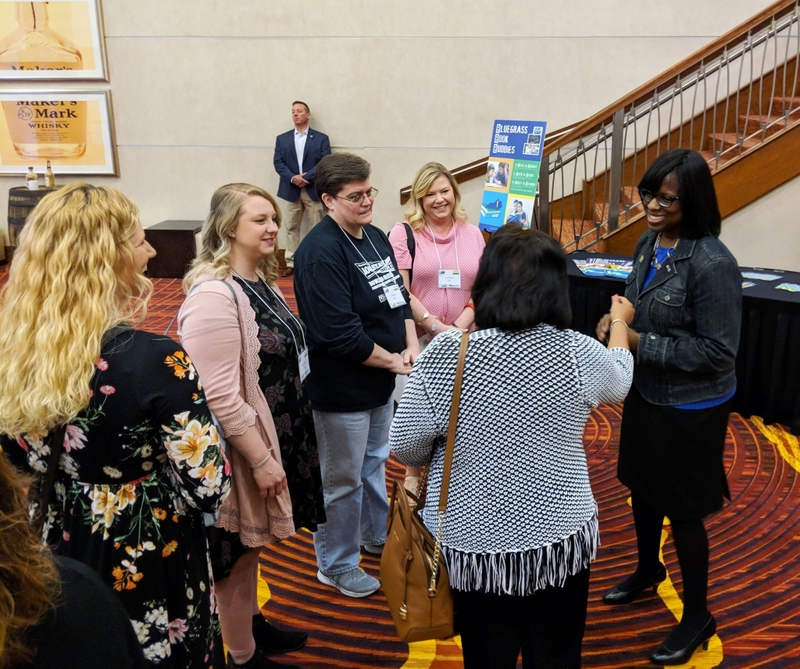 The Collaborative Center for Literacy Development (CCLD) Share Fair is the culminating celebration and showcase of the yearlong work done through the Kentucky Reading Project (KRP) and Adolescent Literacy Project (ALP). Held on a Saturday each spring, the Share Fair consists of a series of roundtable sessions where KRP and ALP teachers discuss their literacy action plans they have been implementing all year. In addition to presenting their own work, the participants have numerous opportunities to network and attend other sessions with teachers from around the state. The day includes a luncheon with a keynote by a national literacy professional. The CCLD Share Fair took place on Saturday, April 21, 2018 in Louisville. 213 teachers from across the state who participated in KRP and ALP presented roundtable sessions about the focus of the Literacy Action Plans they developed and implemented in their classrooms. 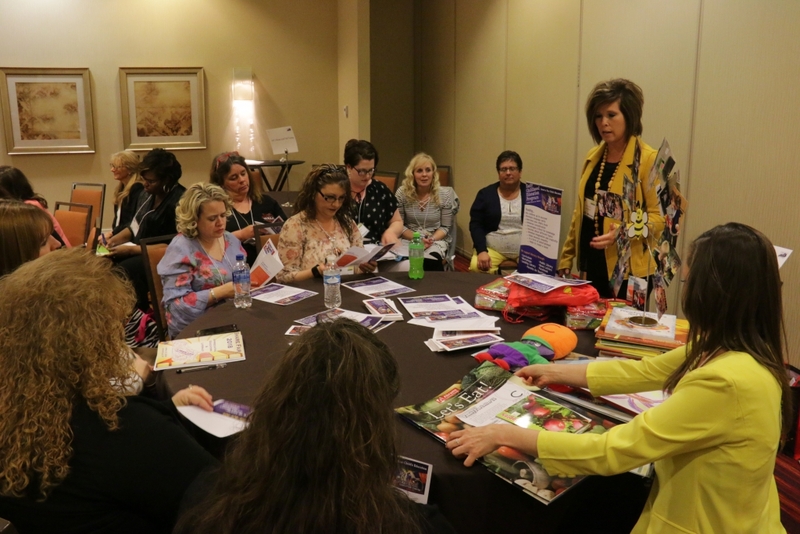 This year they were joined by 252 Read to Achieve +1 teachers who participated in KRP4RTA literacy training as a requirement of the RTA grant their schools received. The guest speaker at the Share Fair luncheon was Laura Robb, nationally renowned author, teacher, coach, and speaker.